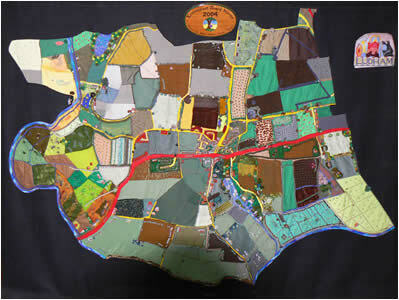 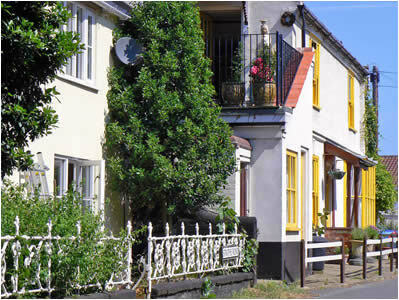 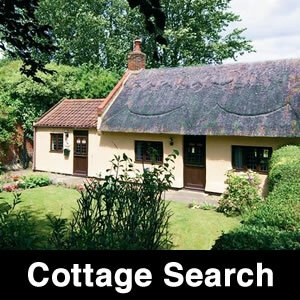 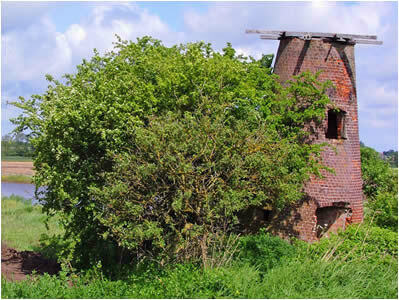 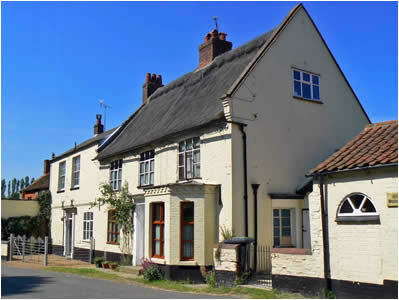 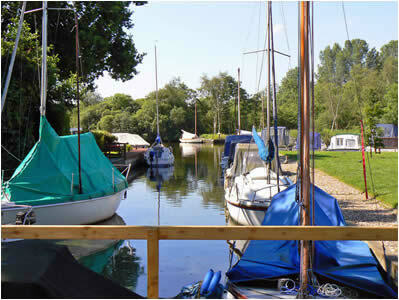 A medium sized Broadland village with surrounding marshes and waterways. 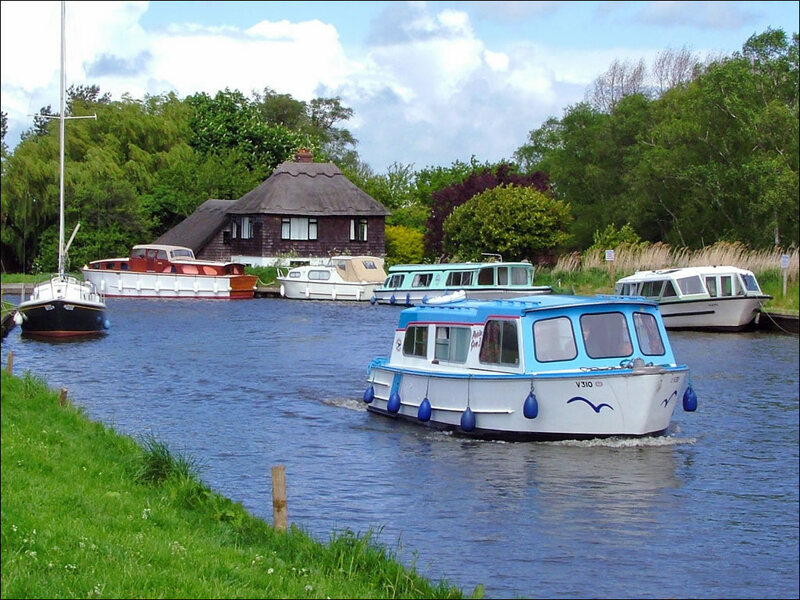 Ludham is a medium sized broadland riverside village. 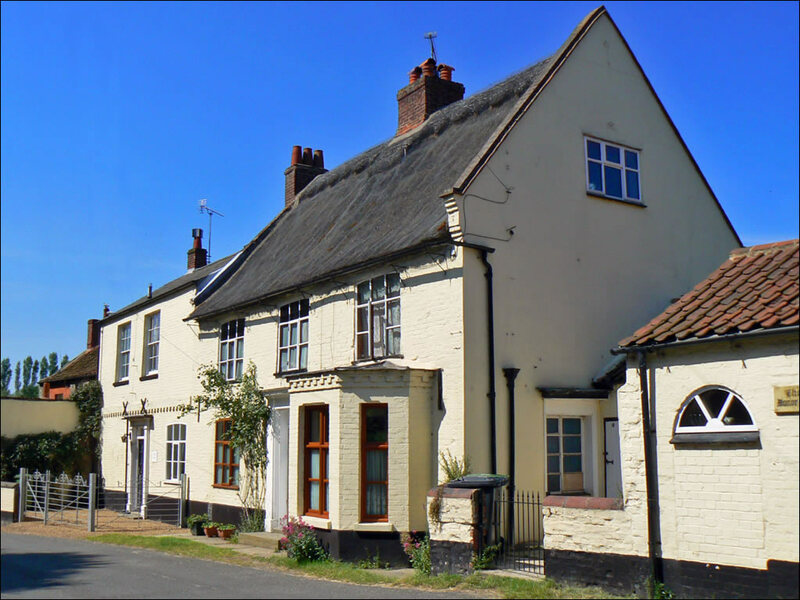 The village is split by the A1062 road going through it, with the main residential area on one side and the church and staithe on the other (although not visible from the road). 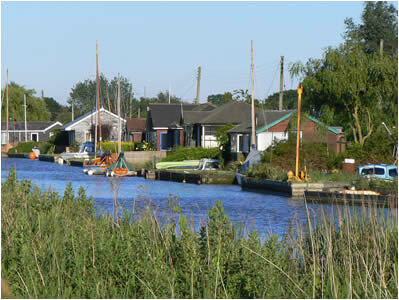 The village staithe gives access via boat to Womack water and then the river Thurne. 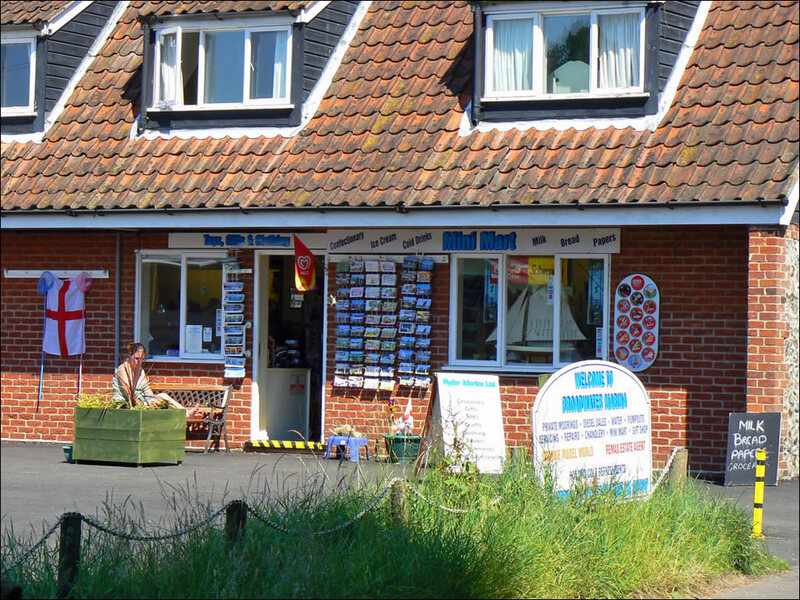 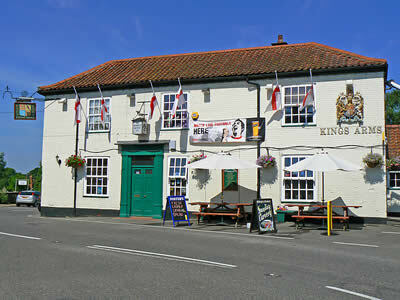 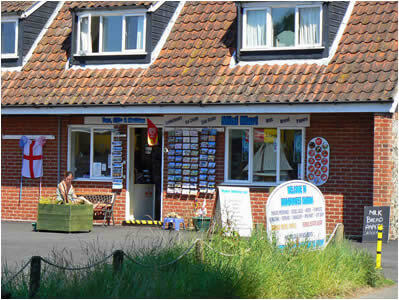 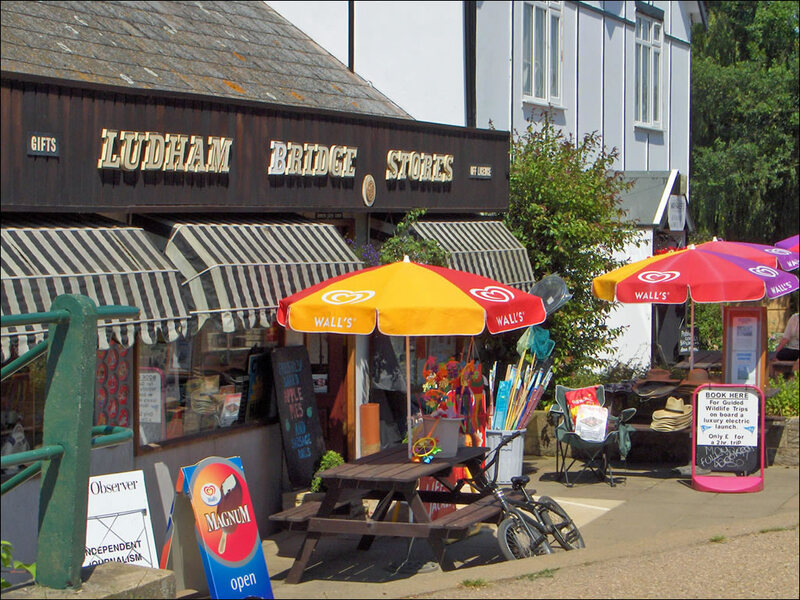 Facilities of the village include a pub, good sized village shop, tea-rooms and a gift shop on the staithe with toilets. 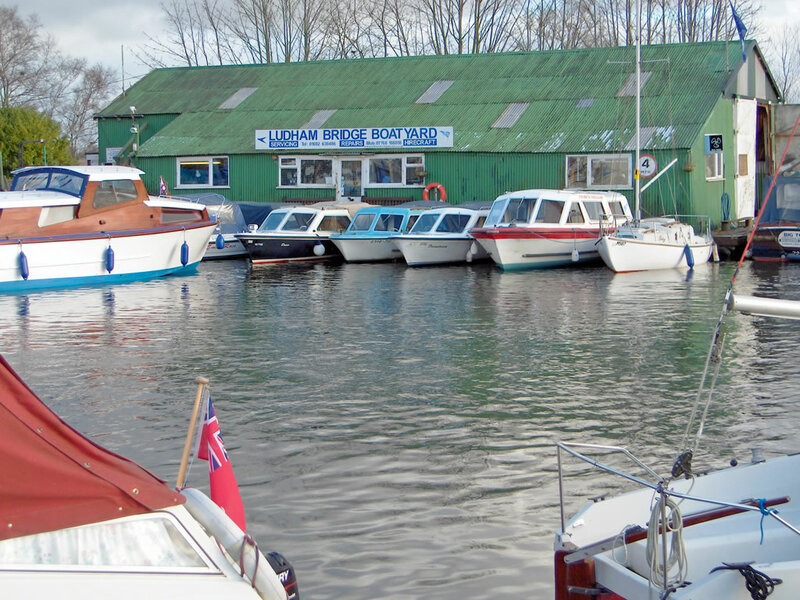 Nearby Ludham Bridge (about a mile out of the village towards Horning) takes the road over the River Ant and has a shop, boatyard, tea-rooms and a pub. There is a lovely walk onto Ludham Marshes, giving good river views. The village staithe is a great spot to start our tour of Ludham, you could have a picnic here or watch the boats moor up. 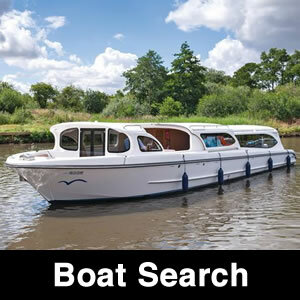 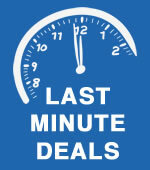 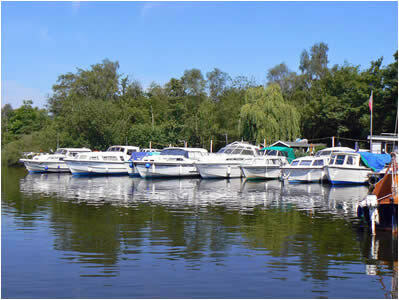 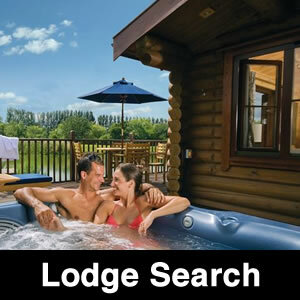 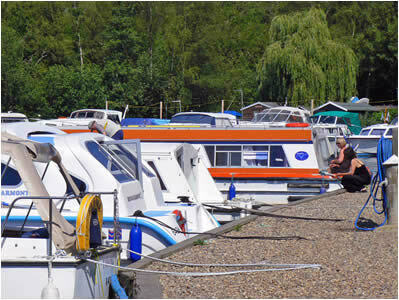 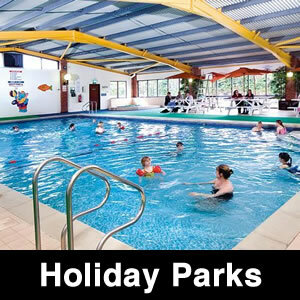 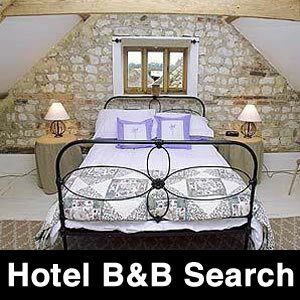 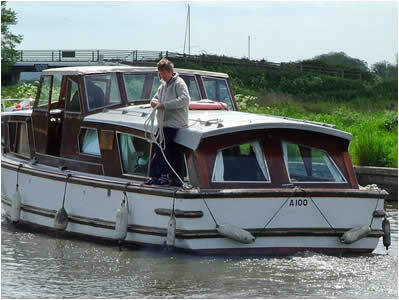 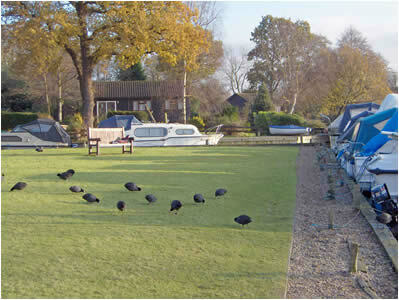 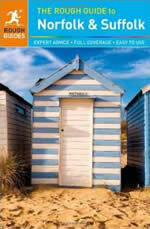 There are moorings for private boats and a fair amount of public 24 hour moorings (stern on). 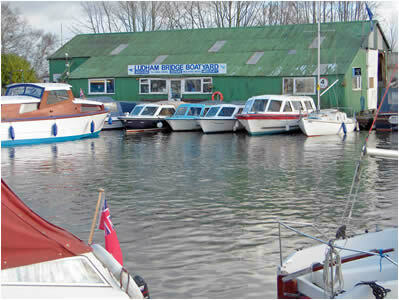 There is also a boatyard and small gift shop. 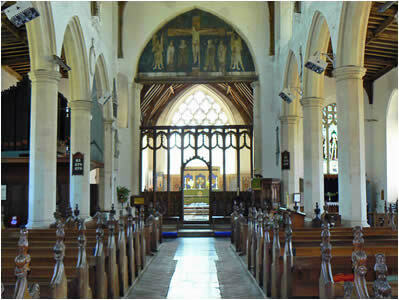 Moving into the village itself, there is a large village church of St Catherine. 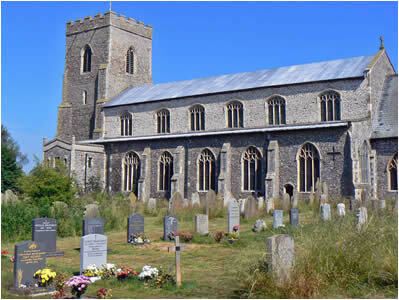 The church sits in a spacious churchyard. 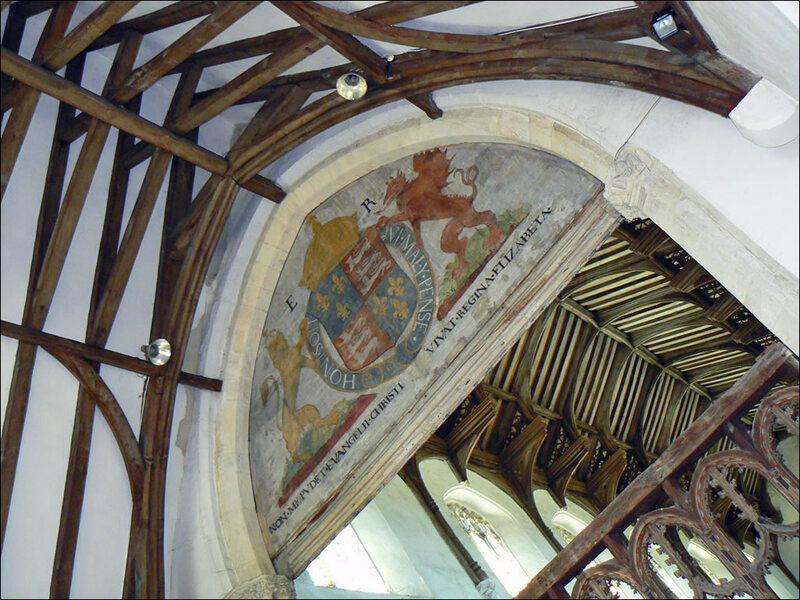 Inside, the church is very spacious and there seems to be a generous amount of woodwork, especially in the roof! 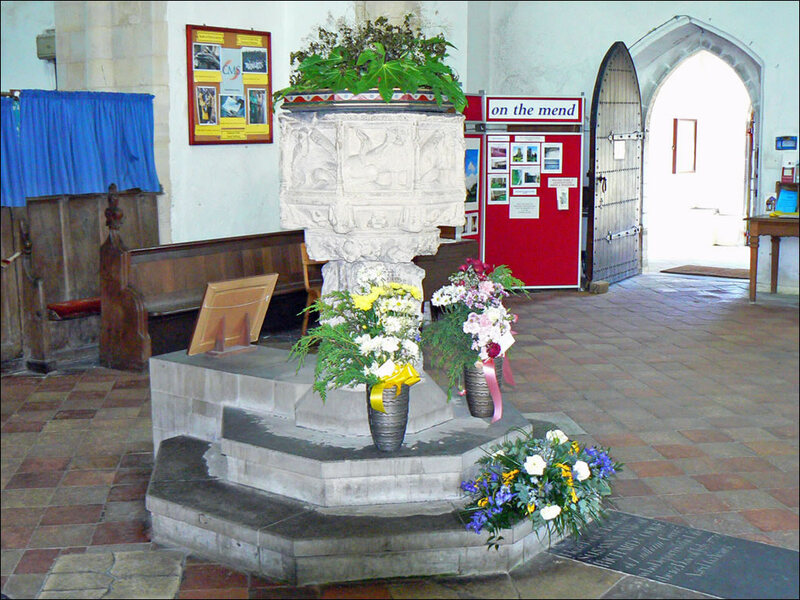 The church has an interesting font near the doorway and we also found a magnificent tapestry of the parish of Ludham. 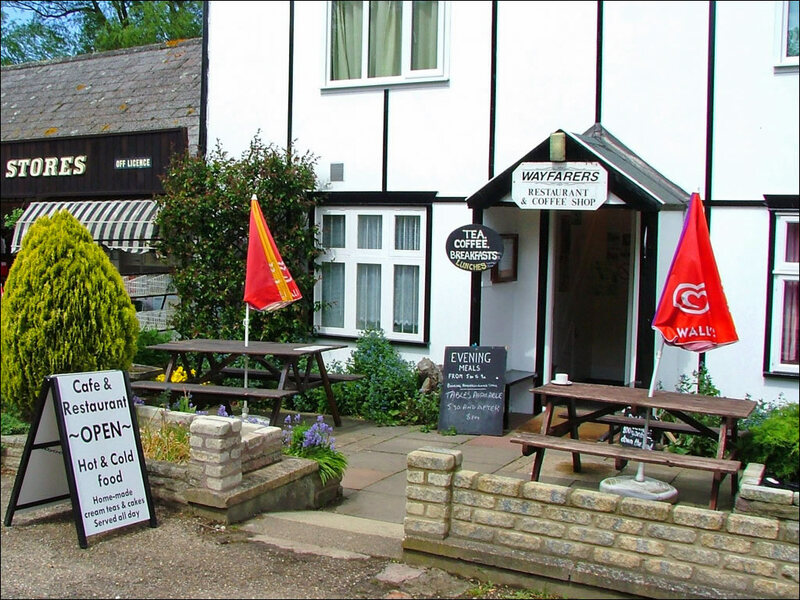 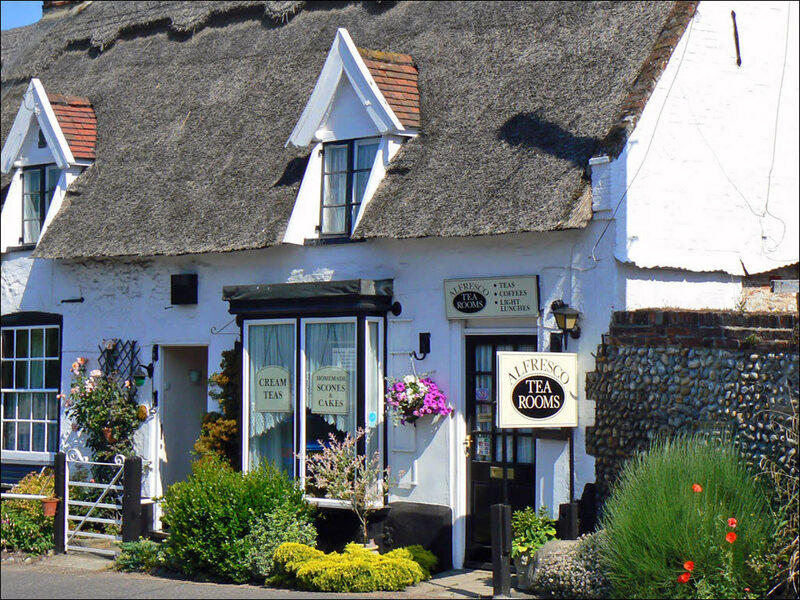 Situated on the notorious 'S' bend in the main road, you will find one of the most picturesque tea rooms in England - the Alfresco Tea Rooms - Further around the bend is the village pub, The Kings Arms. The remainder of the village contains a mixture of old and new properties, including more than its fair share of really pretty cottages. 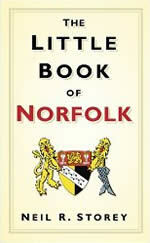 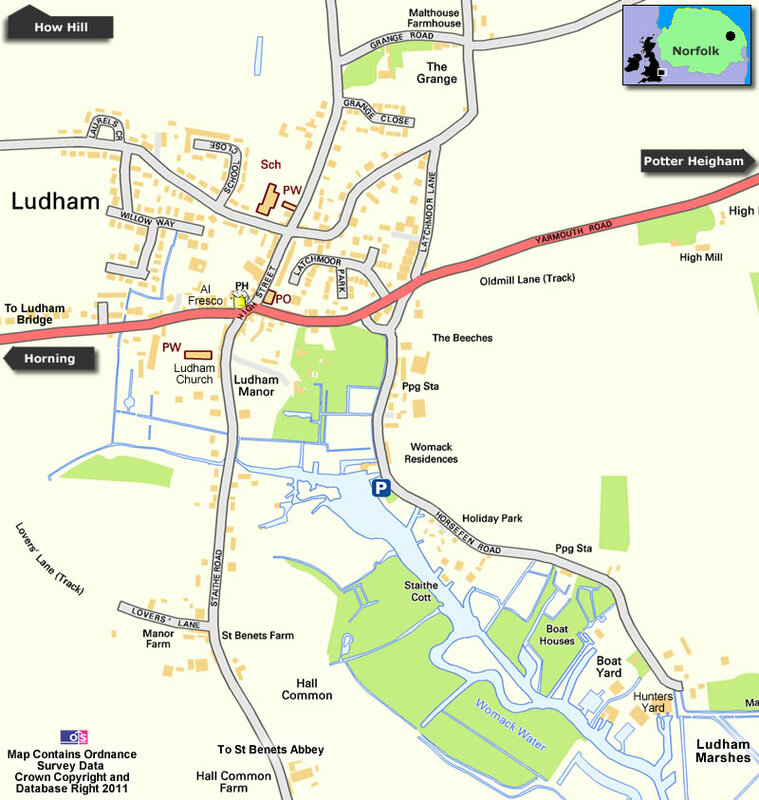 There is a legend of a dragon that terrorised the village of Ludham. It dug a lair of tunnels between the churchyard and the main street. 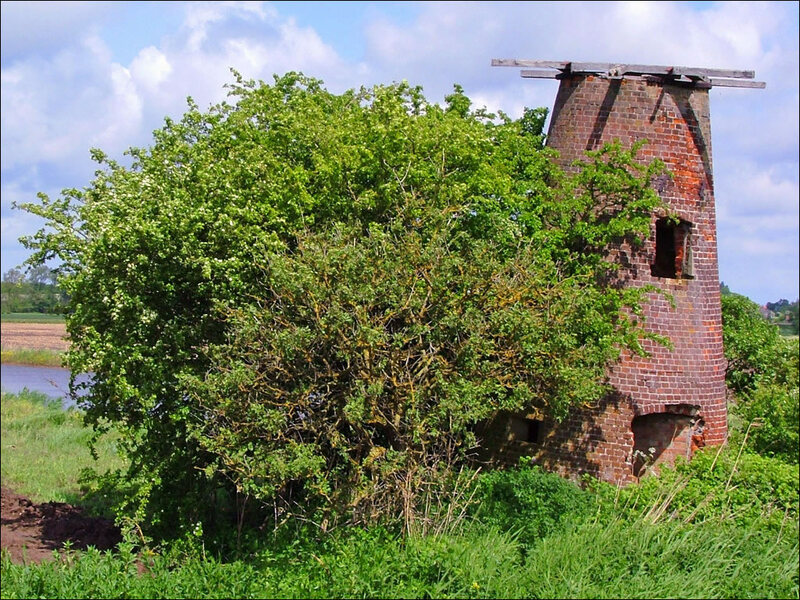 One day the beast came out and spread its wings along the street to bask in the warm sun, and a brave man crept to the mouth of the tunnel, where he completely blocked it with a single boulder. 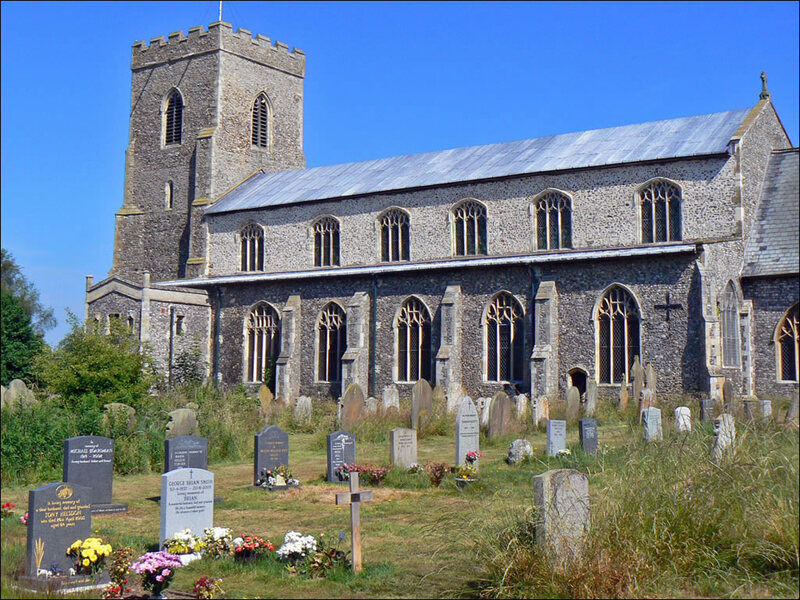 When the dragon returned, it could not move the rock, so howling with rage it flew off towards St. Benets Abbey, where it smashed its tail against the walls, and vanished forever! 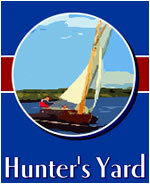 Returning past the staithe along Horsefen Road, we come to the famous Hunters Boatyard. 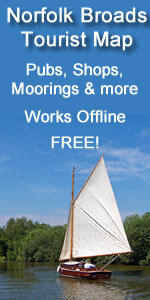 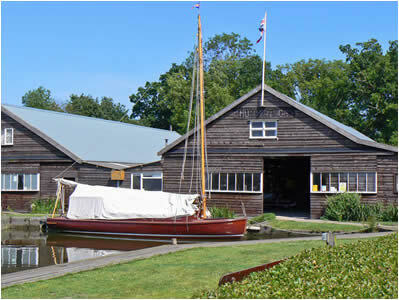 This yard still operates traditional Norfolk sailing yachts - gaff rigged, no engines and no electricity - just oil lamps! 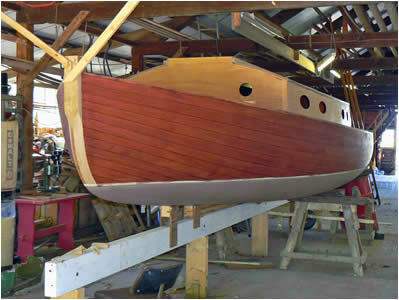 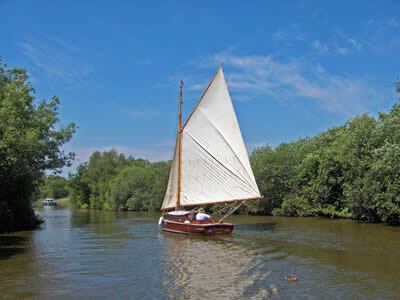 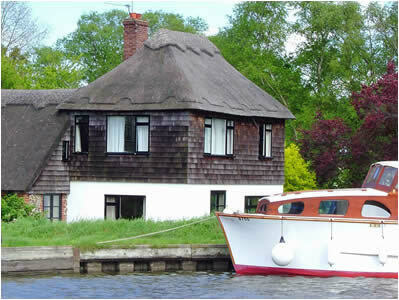 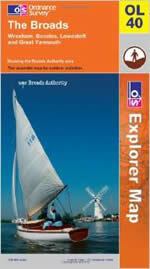 If your would like to experience authentic 1930's Broads sailing then hiring one of their yachts is a must! Hunters Yard recently undertook a project to build a new yacht using the original 1930's plans, the yacht has now been finished and launched. 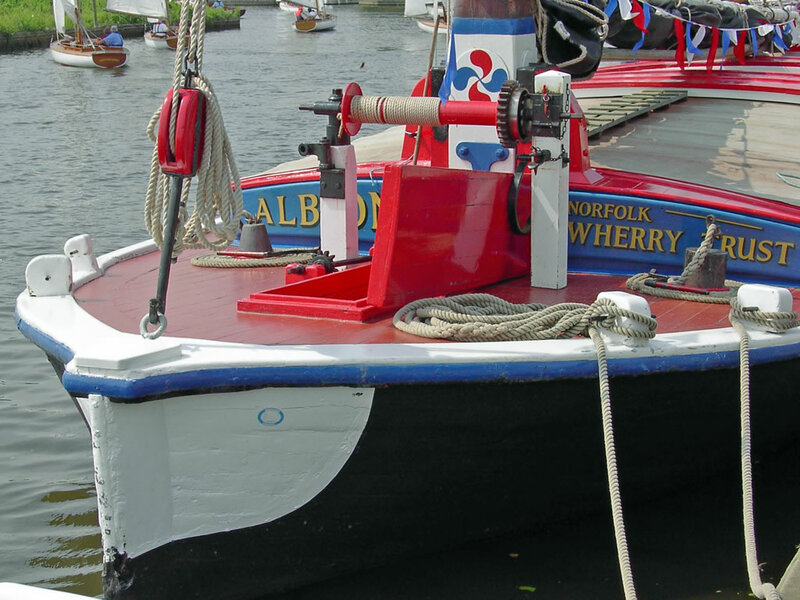 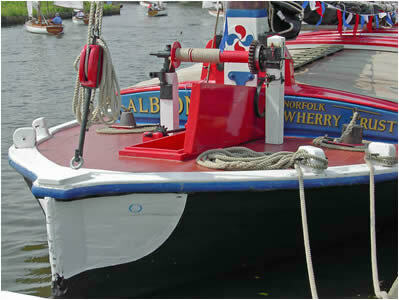 Adjacent to Hunters Yard is the Norfolk Wherry Trust, which operates the Wherry Albion. About a mile out of Ludham along the road to Horning, we come to Ludham Bridge, which takes the road over the River Ant. It's a popular spot for mooring, having a refreshment and watching other boats navigate the low bridge. 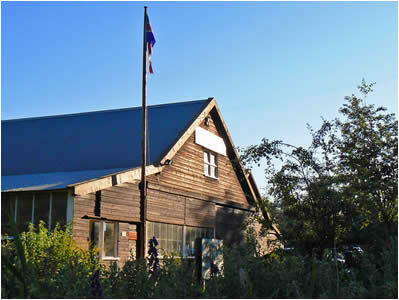 Also at Ludham Bridge is a shop and a restaurant/coffee shop. Paths lead along all the river banks, giving access to the bridge facilities from moored boats. You can walk either up river towards How Hill, or down river towards the mouth of the River Ant - all paths have wonderful views of the surrounding countryside. 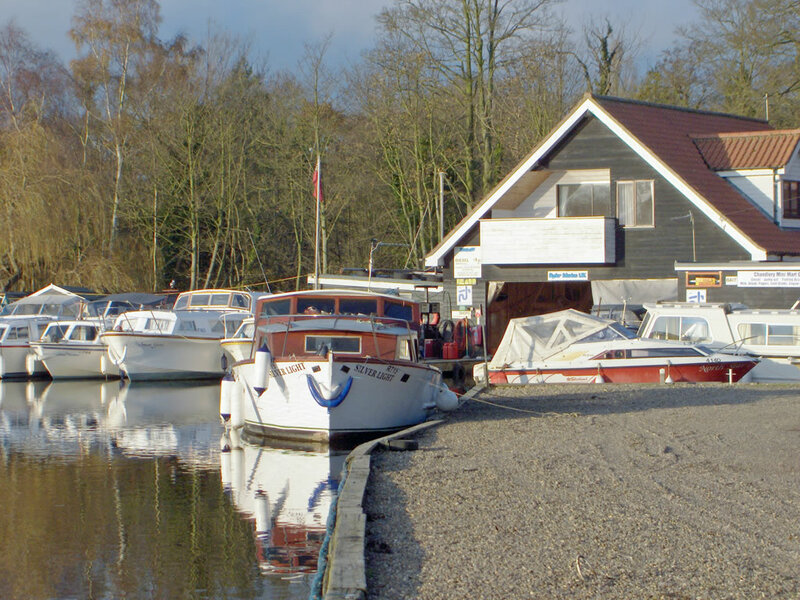 Ludham Bridge has its own boatyard and is popular with boaters. 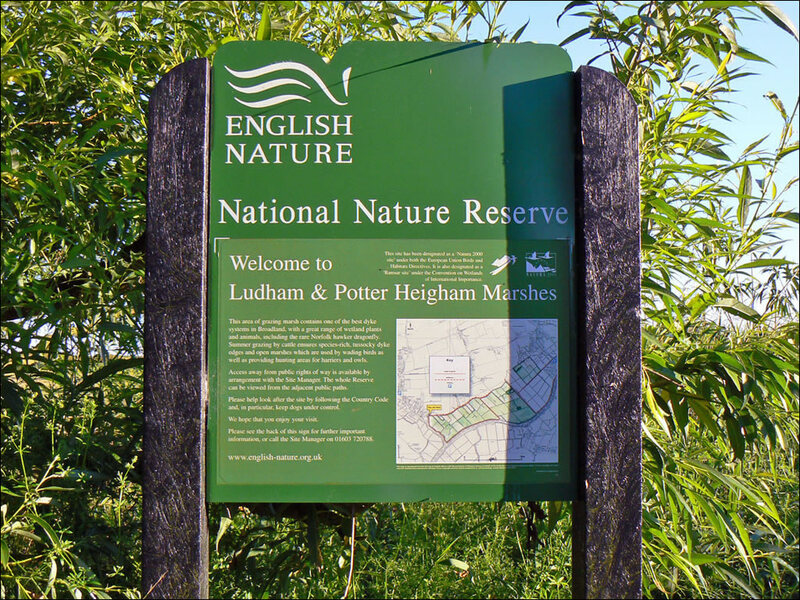 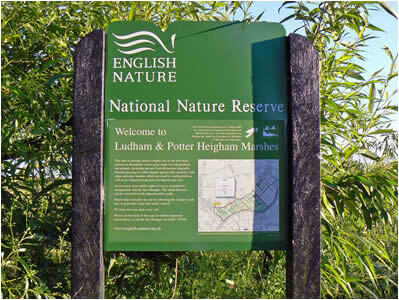 At the end of Horsefen Road, adjacent to Hunters Yard, is a path leading onto Ludham Marshes. We took a walk around the marshes on a lovely early summers evening. 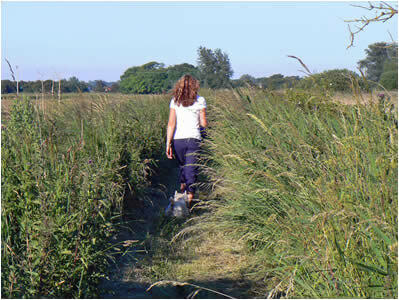 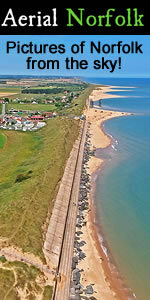 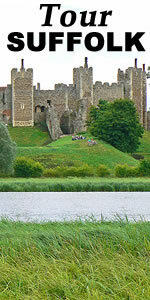 We suggest you start your walk along the path adjacent to the water, returning along the track through the marshes. 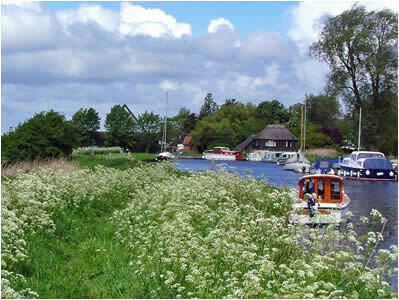 The path runs adjacent to the dyke into Womack Water and along the River Thurne. 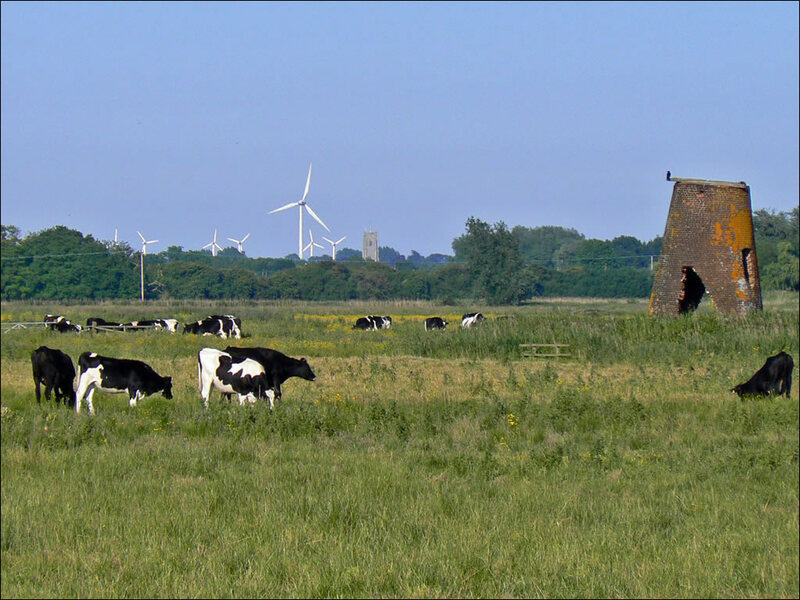 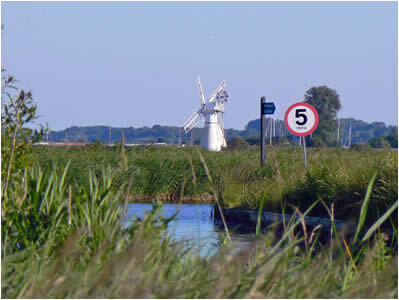 This gives great views over towards Thurne and the windmill. 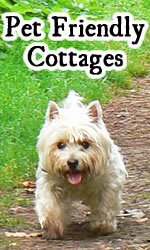 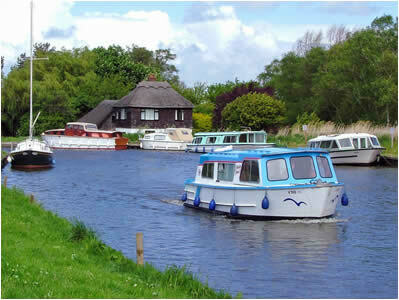 You can then walk along the river path to the bungalows at Repps and Potter Heigham ... Returning over the marshes to Ludham - with good views of the wind farm at West Somerton. 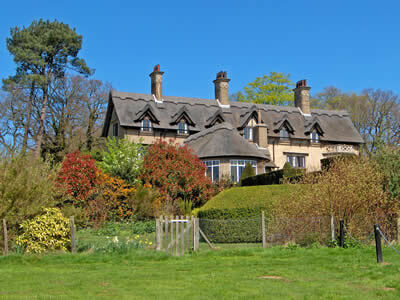 You may also like to visit the How Hill Estate, which is nearby. 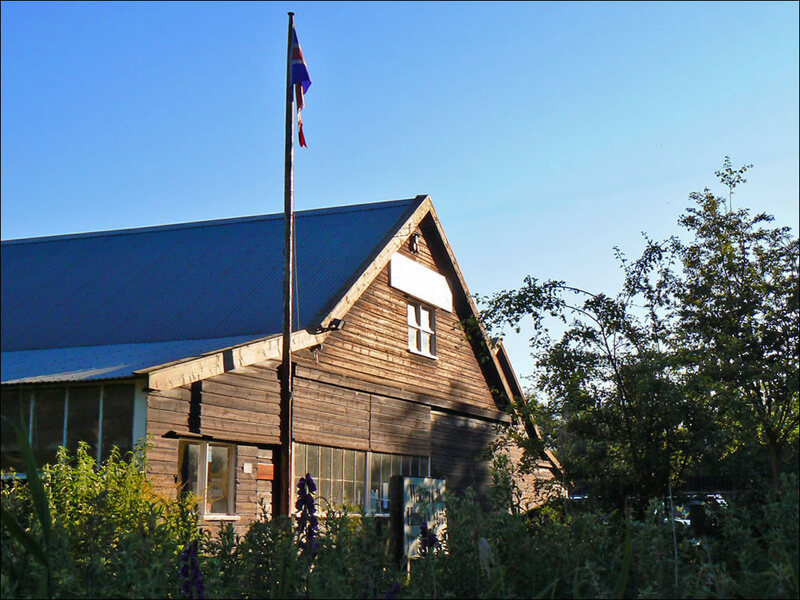 There is an Edwardian study centre, Marshman's cottage exhibition (free), boat trips from the staithe, a drainage mill and a nature reserve walk. 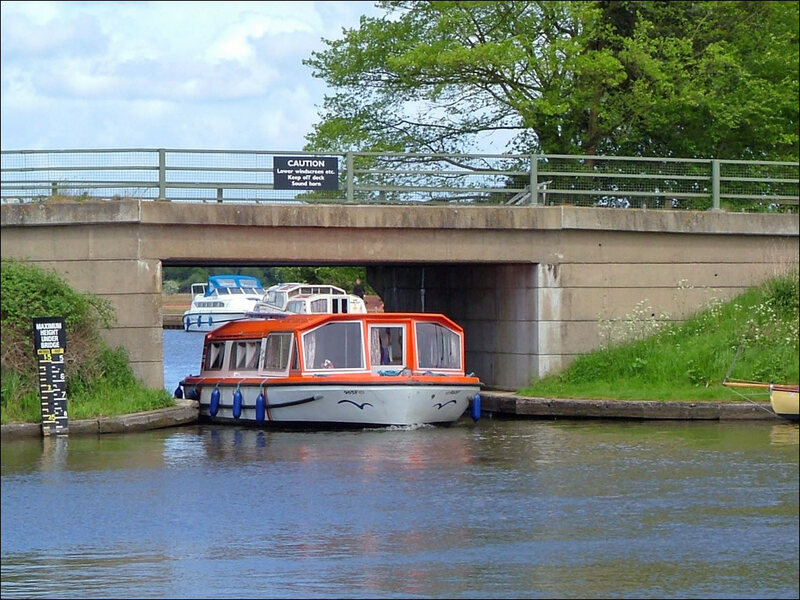 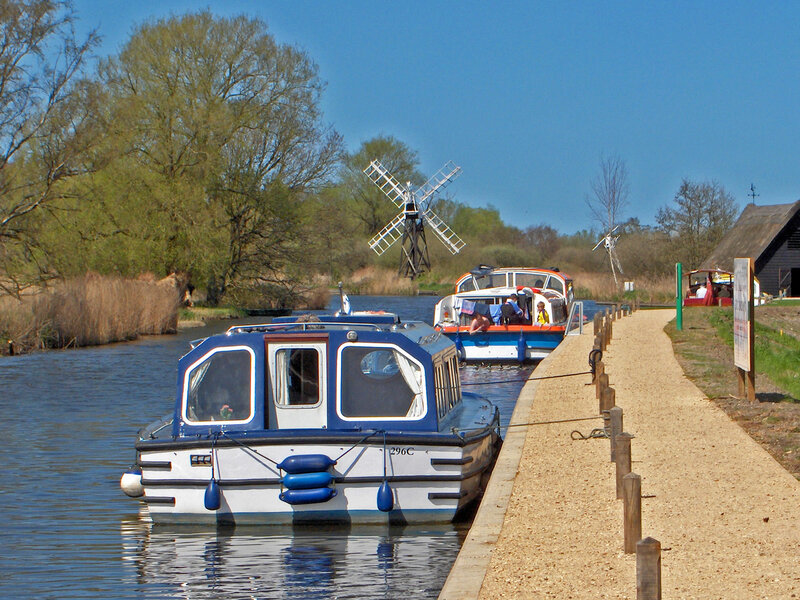 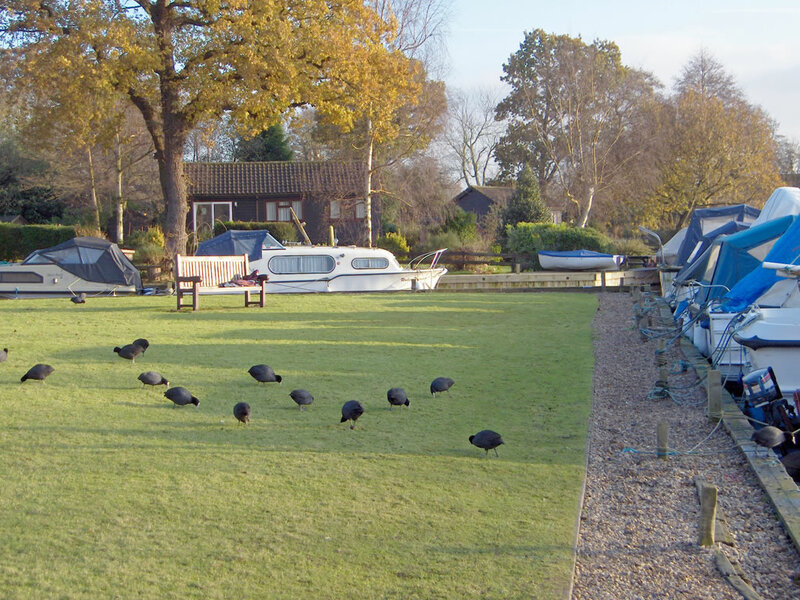 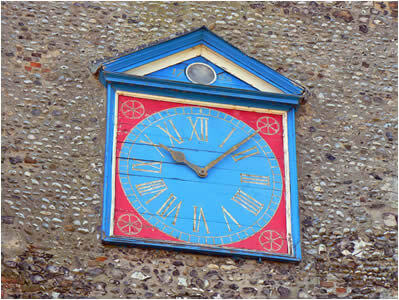 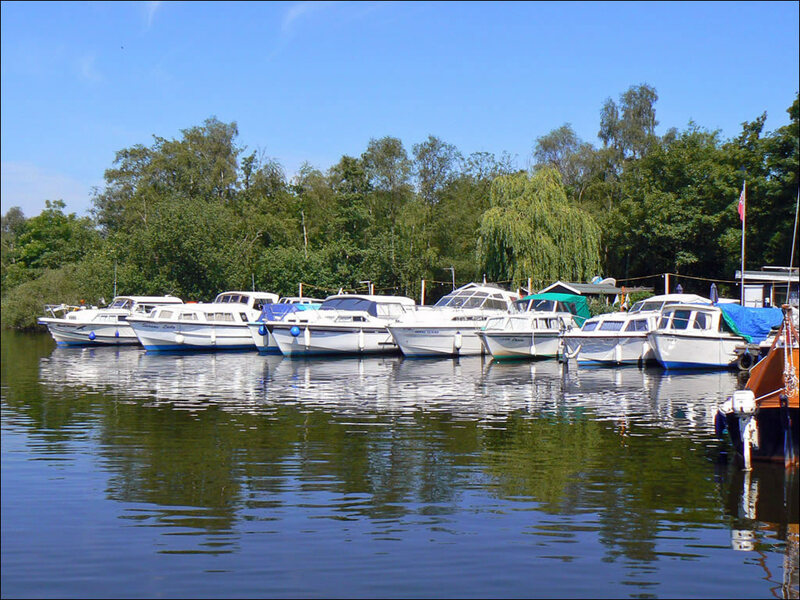 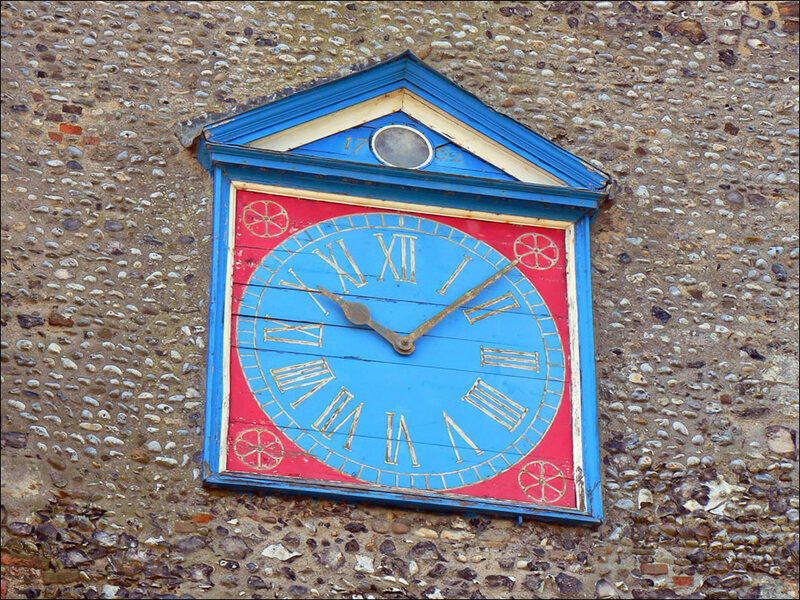 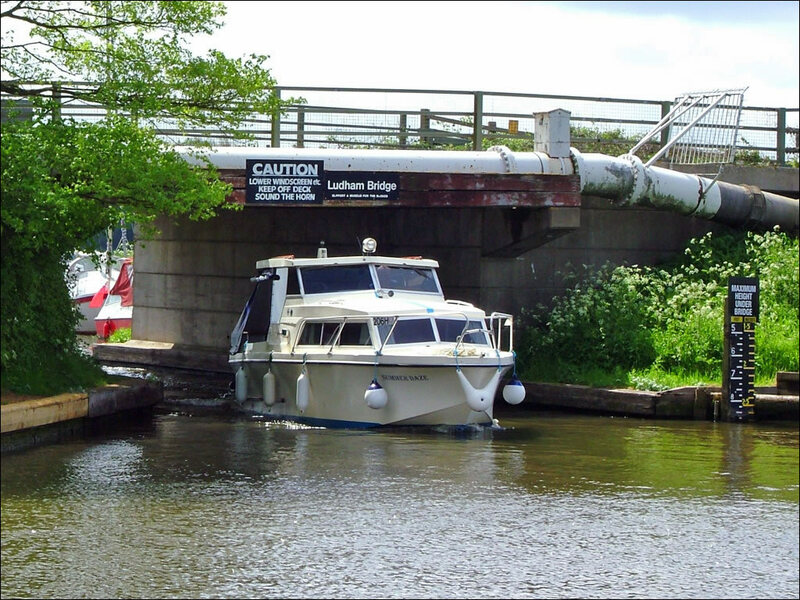 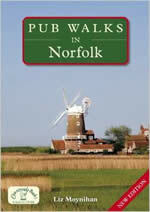 Ludham is a great stopping off point - for both boaters and those on land. There are places to stock up on your supplies or take a refreshment. 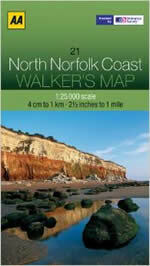 Tap the graphic above and a map will be displayed in a new tab - please be patient while it downloads! 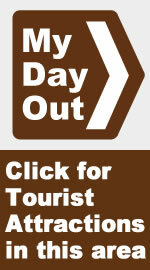 Tap menu button and 'Hints & Tips' for more information.